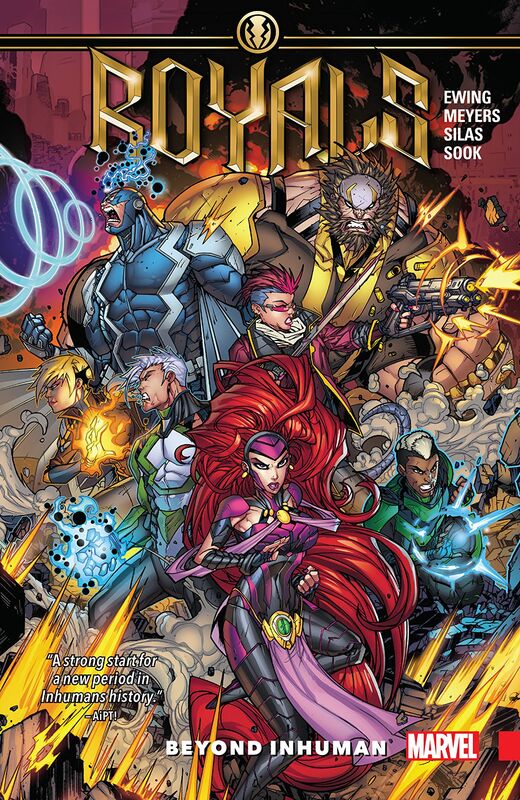 Inhumans reveal at NYCC: "Judgment Day" is coming – AiPT! For the first time anywhere, at today’s Cup O’Joe Marvel Legacy: Avengers panel at New York Comic Con, writer Al Ewing revealed the endgame for his Inhumans epic. It will all go down in the Inhumans: Judgment Day one-shot, drawn by the epic artist itself, Mike del Mundo. The splintered Inhuman Royal Family will finally come back together to defend Earth from the unimaginably powerful Progenitors, a new race of space gods of Ewing’s own creation, in what’s meant to be a meaty and massive battle. “I really want to make a giant bang for you buck,” Ewing said. Inhumans: Judgment Day #1, with a cover by Daniel Acuña, hits stores in January.